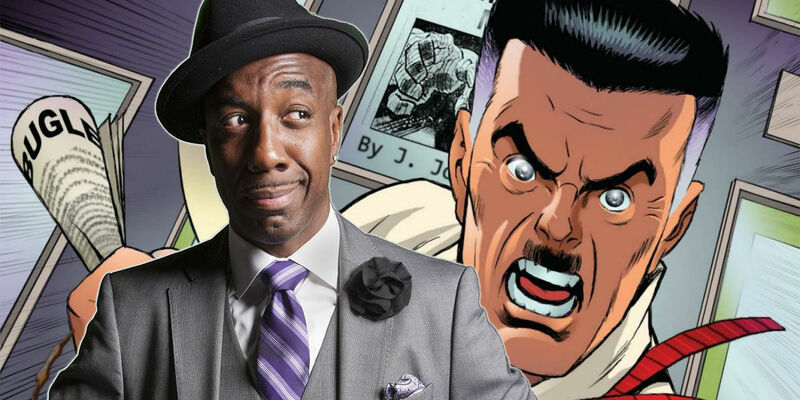 Spider-Man: Far From Home: Is JB Smoove Playing J Jonah Jameson? Actor J.B. Smoove (Curb Your Enthusiasm, The Real Husbands of Hollywood) has been cast in Sony and Marvel's upcoming sequel, Spider-Man: Far From Home. Sony has been tight-lipped with regards to his character's identity, but reportedly Smoove is playing "a lead in the ensemble." There is no shortage of speculation as to the identity of Smoove's character - from any number of wise-cracking villains, to Michelle's father, to a relative of Miles Morales, or an as-yet unrevealed villain alongside Jake Gyllenhaal's Mysterio. It's even theoretically possible that he's reprising his role from the Audi commercials that accompanied the release of Homecoming, though that's incredibly unlikely. There's another idea as to who Smoove might be playing, though, and it's the perfect play for the MCU. He should be playing J. Jonah Jameson, the cantankerous editor of The Daily Bugle, the newspaper at which Peter Parker gets a job shooting pictures of Spider-Man. In the comics, Jameson has a completely unwarranted grudge against Spider-Man that's expressed in the form of a non-stop smear campaign, using the Bugle to besmirch the good name of New York's favorite wall-crawling superhero. J.B. and J.K as J.J.J. It's been a long time since J. Jonah Jameson was last seen on the big screen. In fact, he was completely absent from Homecoming and films in the ill-fated Amazing Spider-Man reboot. Why was such a fan-favorite character kept out of Spider-Man's cinematic adventures? J.K. Simmons is to blame. The Academy Award-winning actor earned universal praise for his turn as J.J.J. in all three of the Sam Raimi Spider-Man movies. To anyone who had ever read a Spider-Man comic, seeing J.K. on screen was like watching the character on the page come to life. It was a beyond perfect performance, and there was no way anyone would ever be able to replicate what Simmons accomplished as the character. Enter J.B. Smoove. There's no point in trying to emulate perfection, so the only option is to offer a new take on the character. J.B. Smoove certainly looks different from Simmons, being tall, lanky, bald, and African American. Still, those familiar with Smoove's rapid-fire wordplay might realize he could actually be a great fit for the character's motormouth rants about the day-to-day running of the paper and his endless quest to drag Spider-Man's reputation through the mud. Like Simmons, Smoove is an incredibly talented actor with charisma, gravitas, who naturally gains a stranglehold over the attention of his audience. He should be the MCU's version of J.J.J. No one can ever replace J.K. Simmons as J. Jonah Jameson. But J.B. Smoove can offer an alternative take on the fast-talking, hot-tempered newspaper chief. Of course, at this point, this is all speculation and wishful thinking. The word that J.B. Smoove is playing a key role in the ensemble could prove to be an overstatement, and he could simply play a small, scene-stealing role like Hannibal Buress or Martin Starr did in Homecoming. But if Smoove winds up playing the irrepressible J.J.J., we totally called it.